Link building is a way to get backlinks from other websites to your website. If you want to get a lot of visitors, then you should occupy the top position in the search results. In order to get a good ranking then you need a backlink. This is because backlinks are one of the main factors in SEO. Currently Google (and other search engines) are becoming very tight in backlink selection. So not all backlinks can have a positive effect for your website. Backlinks obtained indiscriminately will not provide positive benefits, even in the long term can be dangerous. These two factors will determine the effect of the backlink foundation you build. To get a backlink like this you need a special technique. This technique is what you will learn now. I understand you will want to learn link building techniques in order to get as many links as possible. This website is subject to a penalty from Google. That's why the number of visitors dropped dramatically. Backlinks not only can have a positive impact, but also negative. Unfortunately, the link building techniques you see through forums, social media, blogs, and even used SEO services that most of the bad impact. Because Google has not been smart in assessing the quality of backlinks. As a result, people used to look for backlinks as much as possible in a way that is actually prohibited. Before 2012, this way can still be used. Now is not the case. Google is now smarter in assessing backlinks. That is, if you use a banned technique then the risk of being penalized is VERY big. That's why you have to be careful. So many beginners are trapped. You do not need to understand the terms above now. The point is later when you meet the term, you understand that everything is categorized as black hat. Still remember the concept earlier? Links must be natural and quality. Natural means given voluntarily or by permission of other website owners. Not a result of spam or auto submit. Qualified means coming from an active website and good reputation. In this scheme, other website owners recommend your articles on their will because they feel your content is worth recommending. That's what all the big websites in the world do. ... and that's what you'll learn right now. "If it's natural, it's hard?" It's true ... when compared with black hat. Hence, with the correct technique we can not get many backlinks at once. Choose 1 (white hat) or 2 (black hat)? As someone who wants to build a serious business for the long term, option number 1 is definitely much more interesting. After all we just need a little backlink. 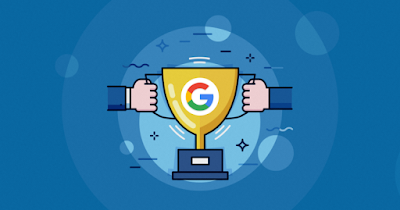 For easy to medium competition, it usually only takes ONE backlink with the method below to be able to reach the first page. One backlink to enter page one! 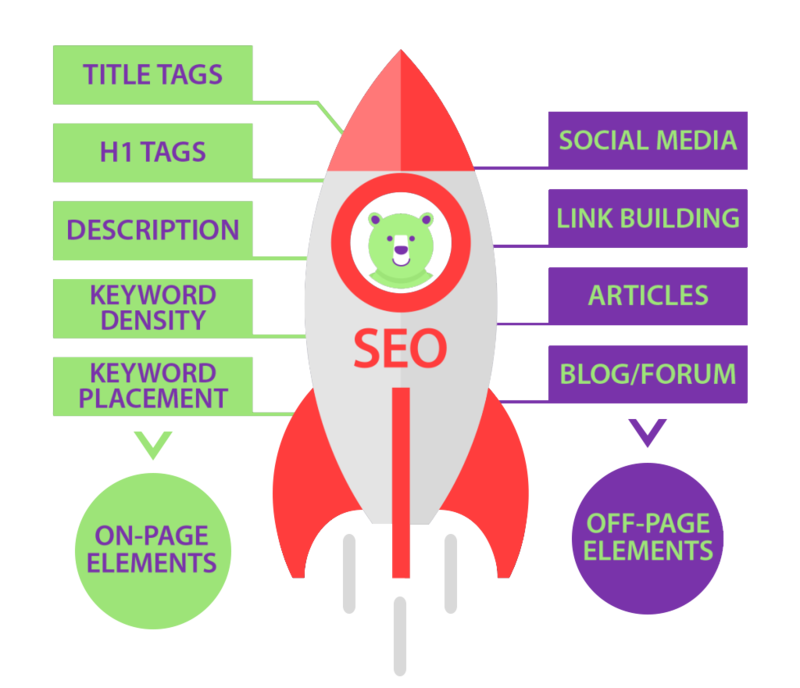 The article you are currently reading now is ranked 1-3 for some of the main keywords such as "how to get backlinks", with a very difficult competition. Whereas the backlink is only 1 (based on Moz). Please contek the way I did to get similar results like the screenshots above. Getting backlinks like this is a bit more difficult, but you do not need much and your website will be 100% safe from penalty risk. Remember, the strategy below does not instantly generate backlinks, unlike writing blog comments or forum spam. There are preparations you should make beforehand. All SEO practitioners must agree, it is impossible to get quality backlinks without having quality content. The backlink was a recommendation. Logically, no one will recommend content that is not good. Yes it is, why not share bad content. Yes, right? Google can judge whether your content is qualified or not. Yes, even though Google is just a machine. Assessing content quality is easy. For example, one of the characteristics of content that is not qualified: not read long by the visitor. That's why content is the foundation of link building. Simply put it that way. 13 link building techniques below also need quality content. Then you must have, at least 1. ... what does it mean quality content? These 3 articles will help you create quality content. Now, take 3-7 days to create 1 quality content. "Where would anyone want to give backlinks ??" Surely we will not immediately ask for it. First, you should understand that voluntary backlinks from other active websites are the best backlink type. 1 backlink only, ranking instantly skyrocketed. ... if the content is not qualified. So, the first key is the quality of the content. Now ... try selecting one of the content you have created. Think, "Is there anyone who would like to recommend this content?" "If you meet content like this on Facebook or Twitter, will you read it?" This second reason is very important. This has been scientifically proven. If the person who needs help is someone we know, we will tend to be more willing to help. That's why we have to start a good relationship. The most important thing is in the third stage. Remember, we will have relationships with people who are more successful. Most likely they will ignore you who is nobody. Unless we've done good to them. If you want to make friends, then both parties should be mutually benefited. It's not just you who bother them. Connecting with successful people is the fastest way to succeed. And the fastest way to connect with others is to help them first. This is an advanced technique from number 2. The point is the same, we ask others to provide links. But thanks to one additional trick, the chances of success are increasing dramatically. Broken links means links from a website page to another website that is dead. When clicked, the page is gone. Due to expired domains, mis-written, deleted articles, or other reasons. Well, in broken link building, we will look for broken links from other websites. Then we will help them fix the broken link by giving our website as an alternative. Website A has an article "how to lose weight". In the article there is a link to another site article about "healthy diet". Unfortunately the link can not be accessed because of broken link. Create 1 article whose topic is the same as the article in the broken link earlier. Make sure your article is better than the original article. To check the contents of the broken link, use the Wayback Machine. Then contact the website owner, please let us know that there are broken links on the page and offer your content instead. Because we intend good, then the chances of success are high. "5 best blog fashion in Indonesia", "7 travel blogger Indonesia", "10 game outbound in Bogor", and the like. Most likely there are already many bloggers who write similar articles on the same topic as your website or business. These articles have accommodated many links to other websites, 1 adding more links should not be a problem. Instead they will thank you for adding their collections. Contact the website owner if your website category matches the article. Inform that you have a similar blog, then ask them to view, check, and add your website to the list. Give a brief explanation if it is necessary to facilitate their work. It is a favorite technique of many SEO practitioners. You can see your competitors' backlinks by using the Open Site Explorer service, Ahrefs, Majestic SEO, OpenLinkProfiler, or SEO Spy Glass. From the tool above, you will get a list of backlinks owned by a website. Usually there are some backlinks that you can imitate. Suppose from the results shown there are coming from a blog, website, or a particular forum, then you can also participate or try to get links on the same website. This technique has enormous potential. Your previous "blind" can now know why other websites can succeed. Be careful, directory-shaped websites can be negative. There is a directory website you should avoid. An ugly directory of topics is too diverse, no selection selection, no visitor activity, and most of the websites listed there are also unclear. At first glance we can know the directory is ugly. Instead, a good directory is a tightly moderated directory so that the websites listed there are also qualified and have the right topics. If you find a directory like this, register your website. Normally a good directory is a business directory. You who have a business website, this is the easiest way to get a quality backlink. Do not submit to website directories whose reputation is not clear. It's the best and easiest way to get traffic to new websites and to improve your ranking on Google. So whenever anyone asks about backlink / traffic, I always recommend guest blogging. When new, no one person who knows the existence of your website. Even if you create 100 articles on your own website, it's still lonely. There is 1 rule of success in marketing: get into a crowded place. In other words, a website that has many visitors. After doing guest blogging, then visitors from the website will know your website. They will be visitors on your website. The colored yellow is the result of 1x guest blogging. 1 post, 600 visitors, in 1 day! From guest blogging, we get quality backlinks. So that our website ranking will go straight up. And unfortunately, this technique is equally beneficial to both parties. That's why many bloggers who accept guest post, as long as the article quality. Not all post guests have a positive impact. At the end of 2014 Google states a guest post link from any blog can cause a penalty. They sell guest post service. Because Google prohibits the use of paid links like this, then you will be potentially penalized. Do not believe it even though they say high quality. If indeed the blog has a good reputation and you get guest post with permission from the blog owner without rewards, no problem. Not just links, you will get a steady flow of visitors. For example: "guest blog business opportunity". Once found, contact the blog owner via email. There is also not mention that they accept guest blog, there is no harm directly contact the website owner even though they do not say anything about guest blogger. To get started, collect 5-10 websites with similar topics to yours then ask them one by one. I am confused to translate the term ego bait into Indonesian because there is no term that fits. This technique utilizes human nature. How to discuss about a person / business / organization in the content that we make. Hopefully they will realize the 'bait' of you, feel happy / proud, then promote your content on the website in the form of links or mentions in social media. Creating content in the form of a collection of websites, such as "20 best health blogs in Indonesia"
Examples of egobait is quite successful for example blogging tips articles from the best bloggers in Indonesia. The article gets 1300 share and some bloggers I interviewed posted links to the article on his blog. When they put the badge on the website with the link provided, then I get a backlink. Make sure your content is positive, qualified, and / or beneficial to others. By meeting these criteria you can create an effective egobait. The term is similar to the temple ego, but the meaning is different. As the above explanation, with ego verse means we provoke feelings (happy / proud) from others. Link bait means we create content in any form that is able to invite the attention of many people at once so that the potential for getting backlinks so high. The page contains online marketing guides in various fields, and the presentation is different from all other content in the same topic. ... they already have their own audience base, we can "ride" to get traffic directly. While it may not give SEO benefits directly but is a very effective medium for promoting content. In addition to a link, you will get visitors. Be careful, utilizing this technique can have good or bad impact. ... depending on the response of others. If your content there get good response from users eg in the form of comments, like, or sharing, then your link is classified quality backlinks. Meanwhile, if on the contrary, it may even be un-indexed. Posting spam on these sites is usually drowned because no one will be interested. Better to send 1 quality content than 1000 spam content. If you are a creative person in creating images, videos, or music, try to make a potentially viral one. The popular content gets explosive visitors, the amount of share to social media increases dramatically, and of course you will get backlinks. Often 1 viral content is enough to make a website so popular. Infographics are one of the easier forms of content to be viral than regular articles. Make sure your website is social media-friendly by using interesting images / photos, install sharing buttons, and use the Open Graph metaphor and Twitter cards. For a website owner who is obsessed in looking for backlinks, forums are usually used as spam. Forums are basically the containers of people who want to learn. If one of your content can help their learning process, take advantage of this opportunity to promote the website. In addition to getting backlinks and visitors, your website reputation will also be awakened. Beware: this is a forum marketing, not a spamming forum. So do not promote your website directly. Many already popular websites used forums and community sites when newly introduced their website. Because the forum is a place of the most easy promotion. However, do not let your site get a bad stamp from the community site because the impact will be felt permanently. This is the most effective technique to get backlinks from many websites if you already have a "name". Suppose you have a brand or website named "BukaBaju". Most likely the name of your website is already known by some people, and there are some websites that mention the name. This we call brand mention. In other words, only text. We can contact them to change the text into active links, or backlinks. The likelihood of success is very high ... those who have volunteered to discuss about you in the content will certainly not mind to convert so links. Then, how to find this brand mention? With one of the 4 tools above, you can get an email every time someone on the internet mentions your brand. I will illustrate how to use Mention. First of all, certainly create an account as usual. Then after login, click "Create New Alert" button on the left. Select the one you want to monitor, because I want to monitor the GuideIM then I choose "your company". If you want to monitor your own name, choose "you" ... as well as for others. If you get multiple Tweets for your account, we recommend that the source of Twitter be disabled. This is because the free version of Mention only gives 250 mention per month. Then you can also connect the FB and Twitter accounts to mention to the accounts are included. Next you will get an email every time there is mention for your name / brand. If there is a mention without a link, contact the owner of the website and ask politely to turn the text into an active link.14. Using SEO services, but ..
Lho, was not I told you not to buy links and do not use backlink services? Indeed most who claim to be "SEO services" only sell backlinks. The severity of this backlink poor quality and obtained with spam. All backlink sellers are aware that their links potentially carry a penalty risk. But they will not tell you the risk because they will lower their sales. So be careful with backlink services that provide many backlinks at once unnatural. These SEO services usually do not sell dozens, hundreds, or thousands of backlinks but comprehensive optimization ranging from online marketing and publication, content creation, and page structure optimization. In other words, do not look for SEO services but inbound marketing services or content marketing. Now you already understand the basics of installing and getting backlinks. But there are still many more derivative techniques that are not specifically mentioned. If you find other methods that are not written, all you have to do first is to ensure the quality.